North Hills West has taken some major steps forward in reaching out to the community in 2015. We built a new website which is chock full of great events and opportunities for you to get involved in our community and we are keeping you informed through our eblasts and Facebook posts. Join the conversation at facebook.com/NorthHillsWestNeighborhoodCouncil. Supported City Attorney Mike Feuer Town Hall in March which addressed illegal dumping, preventing gun violence and making schools safer. Supported Citrus Sunday with outreach and by staffing a collection table at Fire Station 87. MEND received over 10,000 of fruit from Citrus Sunday to distribute to the hungry. Roscoe Cleanup was hosted by the North Hills West Beautification & Infrastructure Committee to clean up Roscoe between Woodley Place and Gothic Ave, removing 12,000 pounds of debris. Helped organize Kut the Kaboom to reduce illegal fireworks usage. Supported and staffed National Night Out for both the LAPD Devonshire and Mission Divisions. Cosponsored the Annual Congress of Neighborhood Councils providing training to Neighborhood Council members and stakeholders. 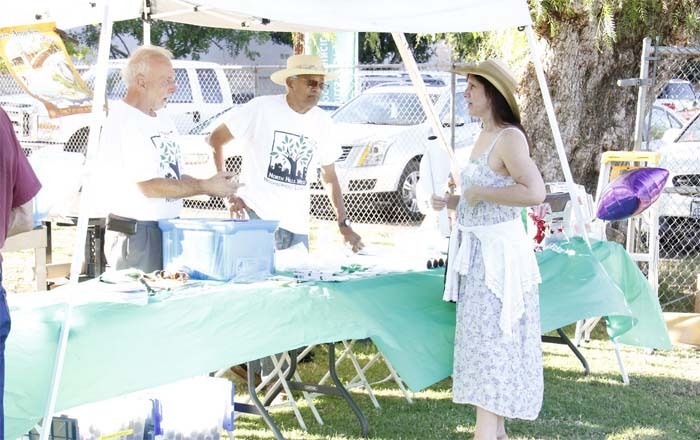 The 8th Annual Valley Disaster Preparedness Fair was held in our neighborhood. Members of our Board worked tirelessly to put on the event in conjunction with other Neighborhood Councils. Hosted our annual Community BBQ for hundreds of neighbors to get to know each other. The event included a live DJ and booths of local businesses and organization. Supported community events at New Horizons including A Time 4 Gratitude, the Veterans Breakfast and New Horizons Fundraiser. 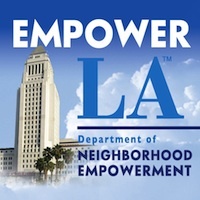 Outreach through LAUSD Principal’s Forum. Supported Neighborhood Watch meetings for four areas with promotion and staffing and funding for signs. Weighed in on short term rentals, supporting short term rentals while requesting zoning regulations to effectively govern them. Supported the Clean Streets Initiative, Keep It Clean and SANSTAT programs to reduce illegal dumping. We are looking forward to continuing to work with the community in 2016 to increase emergency preparedness, protect our quality of life, and bring our community together. We will soon be a certifying organization for the Presidents Volunteer Award Program. Great things are in store for 2016! We invite you to join us. Consider running for a seat on the Council or joining a committee. Come to one of our meetings on the third Thursday of the month, 7pm at New Horizons, Sam’s Café, 15725 Parthenia St.